Join us for our monthly featured poet/open mike series that happens every 4th Tuesday of the month. This month our featured author is Mark Lilley. Mark's poems have appeared in Connecticut Review, Poet Lore, Red Rock Review, Naugatuck River Review, Southern Indiana Review, and other literary journals. He is completing his MFA degree in poetry at Butler University where he plans to graduate this spring. Mark is a vice-president and senior manager at American Funds, a financial services company. He lives in Fishers, Indiana with his wife and two children. For each event, the Arts Council partners with a different organization and/or venue to bring together the most diverse and interesting group of artists for drinks, nibbles, and conversation. This is not a meeting so don't worry about coming in late and please, come as you are. All artists are welcome. This month we will gather in downtown Indy at Gallery 924 at the Arts Council and get an exclusive look at the new The Cabaret theater space, all in the Arts Council of Indianapolis building at 924 N. Penn. Free parking just to the south of Gallery 924 or across the street at the Lucille Raines apartment parking lot as well as street parking. 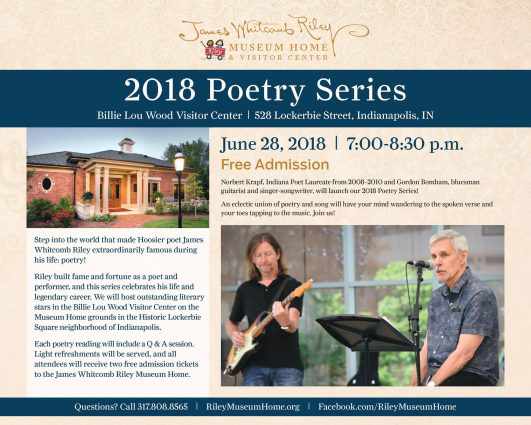 First in our 2018 Poetry Series, former Indiana Poet Laureate Norbert Krapf will present with jazz guitarist Gordon Bonham. You will LOVE this union of poetry & music| FREE admission & refreshments! 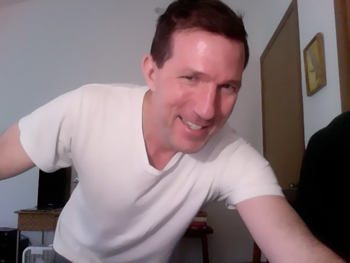 Mark Wagenaar is the author of three books of poetry, Southern Tongues Leave Us Shining (Red Hen Press, July 2018), The Body Distances (A Hundred Blackbirds Rising) (University of Massachusetts Press, 2016), and Voodoo Inverso (University of Wisconsin Press, 2012). His poems have appeared in The New Yorker, 32 Poems, Field, and elsewhere. He is an Assistant Professor at Valparaiso University. 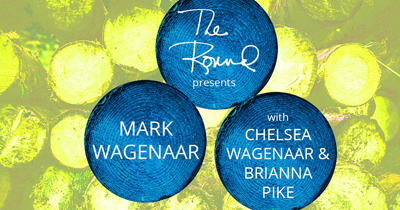 Chelsea Wagenaar is the author of Mercy Spurs the Bone (Anhinga Press, 2015), which was selected for the 2014 Philip Levine Prize in Poetry. Her second collection, The Spinning Place, is the winner of the 2018 Michael Waters Prize and is forthcoming in 2019. Her poems have appeared in Blackbird, TriQuarterly Review, North American Review, and elsewhere. She is a Lilly Fellow at Valparaiso University in Indiana. Brianna Pike is an Associate Professor of English at Ivy Tech Community College and Editorial Assistant at The Indianapolis Review. Her poems have appeared in So to Speak, Connotation Press, Glassworks, Gravel, Heron Tree, Mojave River Review, and elsewhere. Thursday, July 5; 7 p.m.
Timothy Robbins teaches ESL. He has a B.A. in French and an M.A. in Applied Linguistics. His poems have appeared in Tipton Poetry Journal, Three New Poets, Slant, Main Street Rag, Adelaide Literary Magazine, Off The Coast and others. His collection Denny’s Arbor Vitae was published in 2017. He lives with his husband of twenty years in Kenosha, Wisconsin, birthplace of Orson Welles. 15% of proceeds from the Indy Reads Books Art Gallery support our adult literacy programs. 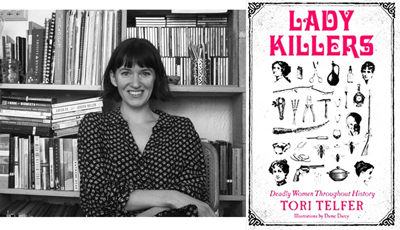 Join us for a talk with author Tori Telfer about her book Lady Killers. Lady Killers, based on the popular online series that appeared on Jezebel and The Hairpin, disputes that claim and offers fourteen gruesome examples as evidence. Tori Telfer is a freelance writer who writes frequently about crime, history, and the law. Her work has appeared in Salon, Vice, Jezebel, the Hairpin, the Awl, GOOD magazine, the Establishment, Racked, and elsewhere. She majored in creative writing at Northwestern University and lives in Chicago, home of several infamous male serial killers and a forgotten female one. Lady Killers is her first book.